Credit may be the lifeblood of small business, but it’s particularly vulnerable to toxins. And once you’re infected, those credit scores bring a triple-whammy of higher interest rates for loans or a possible loan denial, potential increases in insurance costs, and difficulty in securing favorable terms with suppliers. 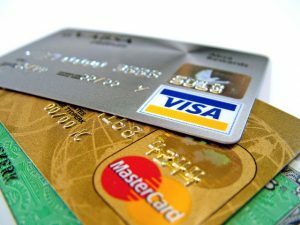 Vermont accounting firm at Sheltra Tax & Accounting, LLC explain the differences between personal credit and business credit and how to improve them. Business credit is more difficult to get a handle on than personal credit. More companies provide business credit reports, and getting those reports isn’t free. Also, correcting bad information on your credit report is more difficult because it requires contacting the reporting agency and working through the problem with them. Another difference between business and personal credit is that anyone can take a look at your business rating. That means vendors and suppliers are using those numbers when they’re considering transactions with your company. But there are some simple steps you can take to allow your startup or ongoing business to create a stellar rating. First, build a good business base. That means doing the things that will make people take your company seriously. First of all, create a workable business plan. Lenders and vendors will want to see your goals and how you intend to get there. Then, incorporate your business and set up a business address, even if you’re operating a home-based business. Next, create a company website. This is where people are going to go first when they want to evaluate you. Finally, establish a company credit card. This will keep your business transactions separate from your personal finances and allows you establish a solid record of payments. Second, pay your bills on time and early if you can manage it. Some credit reporting companies will give you a boost for paying invoices more than 30 days early. Third, try to use lenders and suppliers who report to credit bureaus. Not all of them will, so make sure that’s one of the questions you ask before you enter into a business relationship. The most sparkling payment performance doesn’t do you any good if no one can find it. Fourth, keep your information current with all the credit reporting firms. Perform an annual review of your information with at least the major firms to make sure that all the information is correct and up to date. There’s no one better than you to spot outdated or incorrect reports. Finally, keep your debt ratio low. A company with credit that’s nearly maxed out will raise a red flag. Keep your business expenses lean and periodically request increases in your line of credit to keep those numbers looking good. An additional challenge in establishing and improving your business credit is that the three major agencies all have different methods of calculating your score. Equifax, for example, relies primarily on bank loan and credit card data reports. Dun and Bradstreet’s Paydex relies on reports from your vendors and suppliers. And Experian combines both. And those are just the top three in a crowded field of credit reporters. It’s not easy, but understanding and maintaining your business credit rating is critical to keeping your business vital and healthy. For more information on improving your credit or to schedule an appointment with an enrolled agent, contact Sheltra Tax & Accounting, LLC at (802) 878-0990 today. This entry was posted in Blog and tagged business, business credit, credit on November 4, 2016 by Diana Sheltra.